Tamara J is a speaker, motivator and communicator who inspires and empowers individuals to excel in their personal and professional lives. 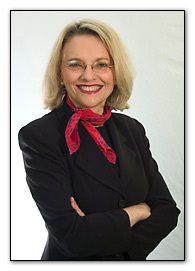 She conducts seminars, conference keynote addresses, and lunch and dinner speeches — helping people understand the value of communicating effectively, respectfully and successfully, in the workplace and at home. She helps audiences learn more about effective interactions with others using Whole Communication™, the process of being aware and understanding proper communication in all aspects of our personal and professional lives. Contact Tamara J and let her inspire your gathering with useful tools, humor and insight. "Tamara is an extraordinary storyteller who draws on years of experience in multicultural environments to build bridges to effective communication skills. She is a joy to watch, listen to, and learn from." ©2004-2014 Tamara J. All rights reserved.